LONDON — Pensioner Joe Bartley stole the internet's heart when his advert seeking employment went viral last week. The 89-year-old, suffering from loneliness after the death of his wife Cassie two years ago, wanted to find a part-time job to save him "from dying of boredom." Offers of work poured in for the former serviceman, who has now officially started a new role with a local restaurant. 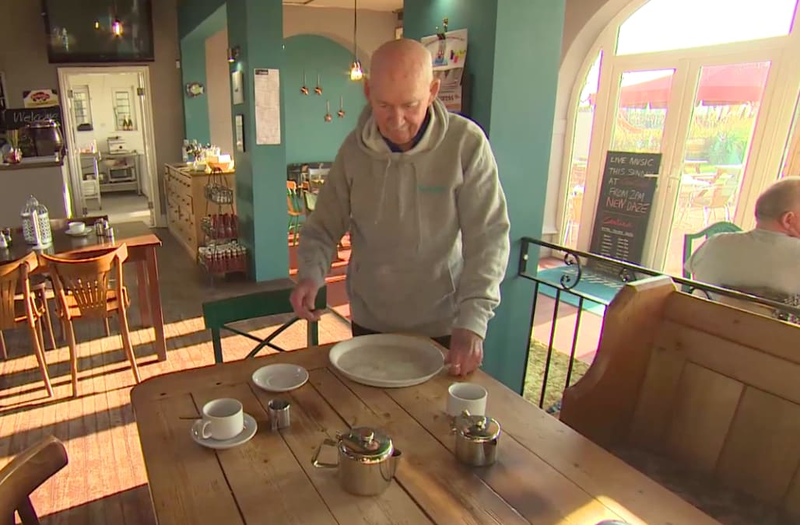 Customers greeted Bartley with a round of applause at Cantina Bar and Kitchen in Paignton, Devon when he arrived to clock in for his first day of work. A BBC camera crew documented activities from Bartley's first day, including his first task of serving up a plate of mince pies. In the clip, Bartley says he is looking forward to "getting up in the morning and going to work and being a working man." He also says he has been "overwhelmed" by the attention he's received. The story's global response has afforded the Liverpool native something of a celebrity status, and he's even received a pile of fan mail. Congrats on the new job, Joe!